Arrive in Chennai airport or railway station. Our IHPL tour representative will assist you with transfer to the hotel pre-booked for your stay. On reaching the hotel, check into our room and retire for the day. Chennai has numerous tourist allures. You can explore by yourself. Pay a visit to the Marina Beach. Check out the colonial remnants in its charming architecture and monuments. Spend time exploring one of the humblest metro cities in India. Overnight stay in hotel. Start your day with a leisurely breakfast. The day is unplanned and left at your convenience. Excursion to Rameswaram holy sea is advised. The town has connection to the legend of Ramayana. Pay a visit to the famous temple, situated on the seaside. Return for overnight stay. Post breakfast in the hotel proceed to Trivandrum. 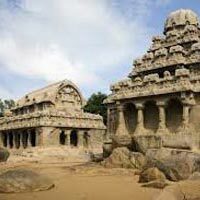 The city has attractions like Sri Padmanabhaswamy Temple, Kovalam Beach, Neyyar Dam, Padmanabhapuram Palace and Sucheendram Temple. Spend day exploring at your pace. Return to relax in the hotel at night. In the morning after breakfast, leave for Kanyakumari, the southernmost point of India. 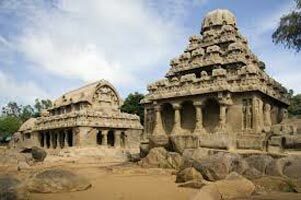 Pay a visit to the Amman Temple, Vattakottai Fort and the Vivekananda Rock. Return to Trivandrum hotel for night stay.